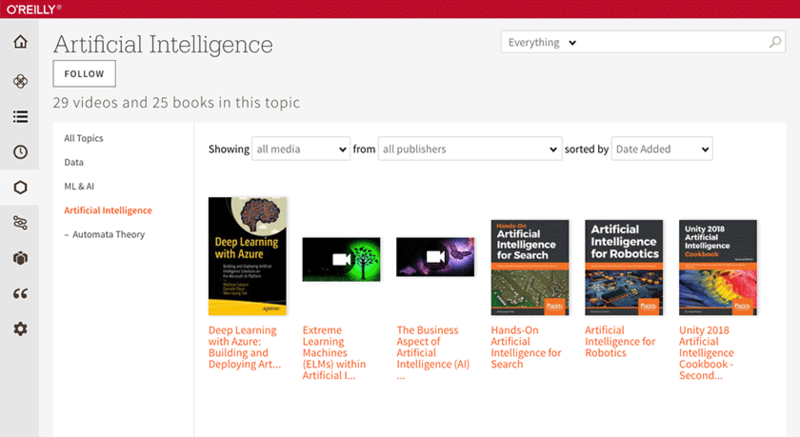 Choose from nearly 1,000 topics (with twice the granularity). We’ve revamped our topic structure, adding four times as many subjects, plus subtopics for each. You now have nearly 1,000 topics to choose from, with granularity that makes it easy to find exactly what you’re looking for. Give it a try: search for Artificial Intelligence, or Microservices. Pick up where you left off with just one click. We’ve added a newly redesigned Your History module to the very top of the homepage, so you can easily return to previous content in as little as one click. Users can also add content to a playlist right from the Your History module, or click “see more” to access all recently-viewed material. Adjust fonts and colors in Learning Paths. 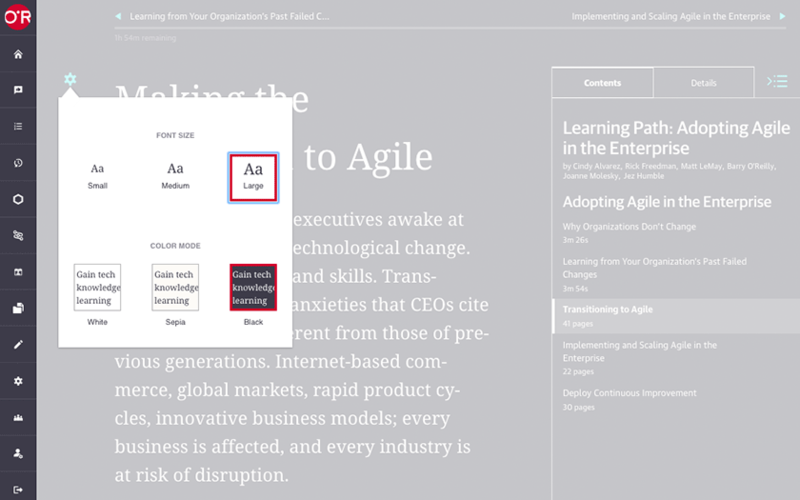 We’ve added the font and background color controls you’ve become accustomed to in our book reader to the Learning Path experience, so you can adjust the font size of text content, and choose from three different background colors for more readability—especially in different ambient light environments. Resume your latest book or video in the mobile app. Our new "Continue Bar," accessible from the Playlists screen, provides a single-tap jump to get you right back into the last book you read or video you watched. 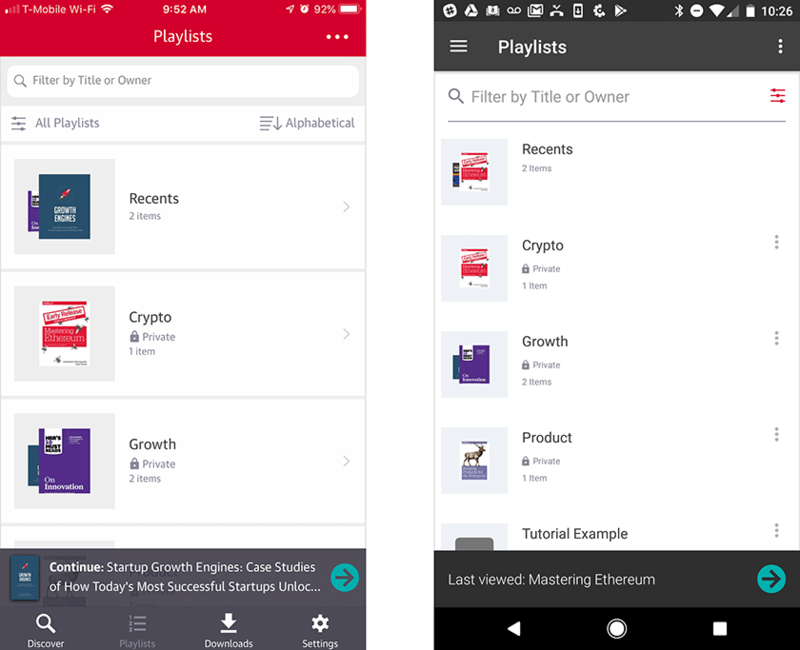 There’s no need to scroll through your playlists to remember where you left off.